I am a big user of OpenTable and have been for a long time. 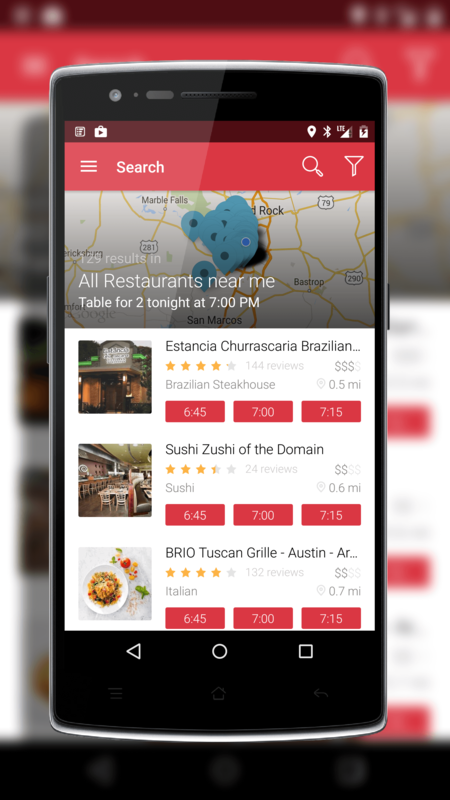 It’s a great way to make a restaurant reservation whether you are at home or on the road. One of my biggest complaints however is the lack of profile management in the app for Android (or iOS for that matter). Anytime I want to change my email address or password I would have to log into the OpenTable website to change them. Thankfully that is no longer the case. OpenTable for Android was updated today to version 5.0.0.1398 for those keeping score at home and the big news with this update is the ability to update your profile from within the app. No longer do you have to go to the site to make these changes and the update is available for both Android phones and tablets. In addition to the profile editing features, this update to OpenTable also brings some added Material Design improvements to the app. Based on testing it out today, it certainly feels more like it belongs on Android Lollipop than the previous build even though it too had some Material Design elements. It seems with this build that the team was doing some fit-and-finish work and it looks great. OpenTable is a free app and you don’t even have to have an account to make a restaurant reservation. With an account however you earn points which can be used for discounts on dining.